Just Listed! 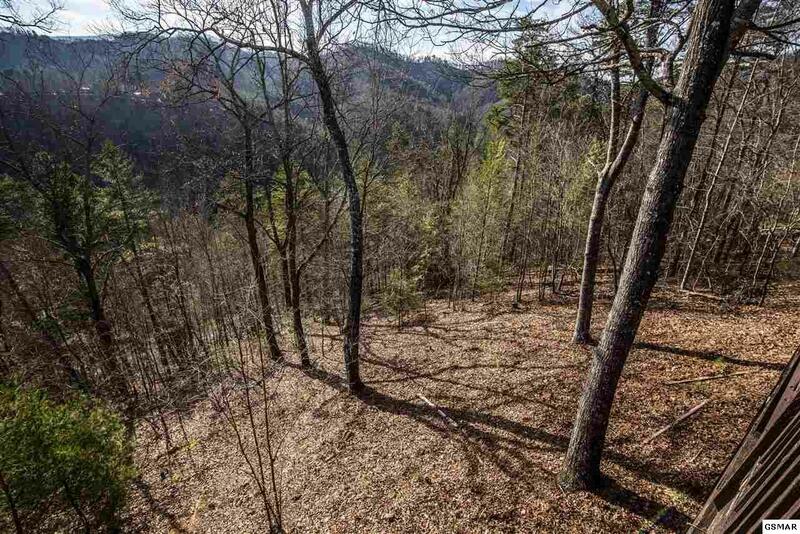 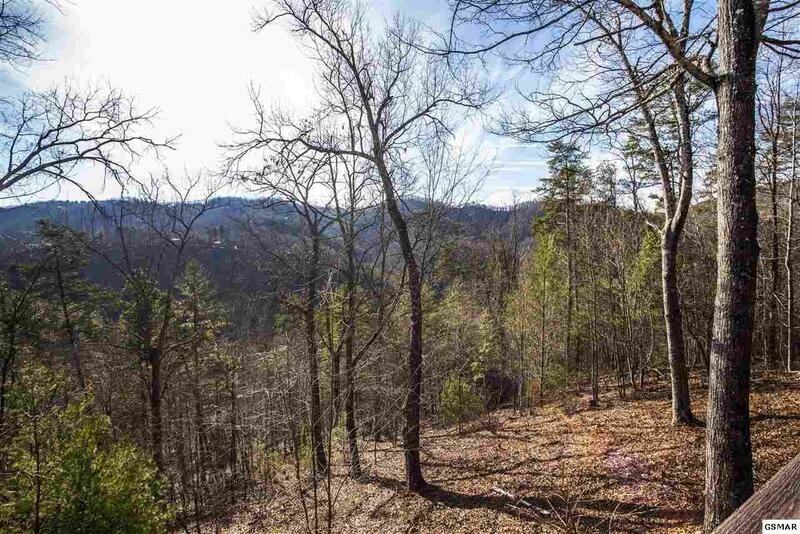 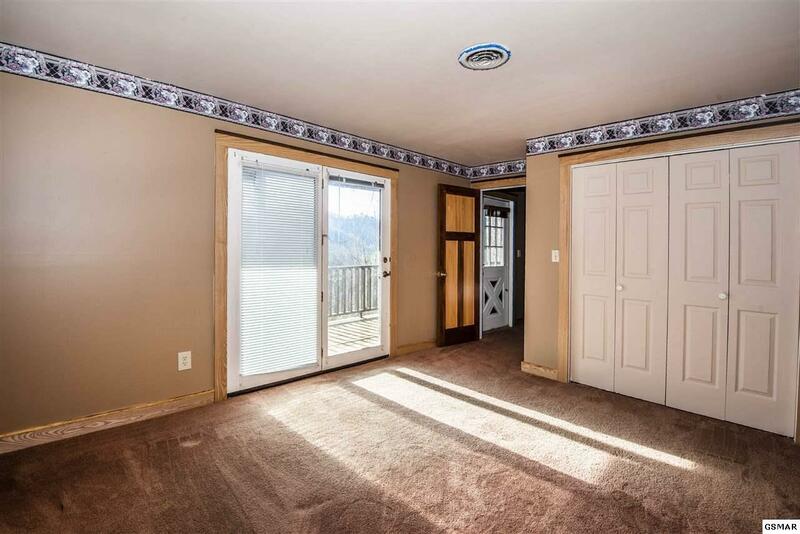 Beautiful basement rancher with views of the mountains! 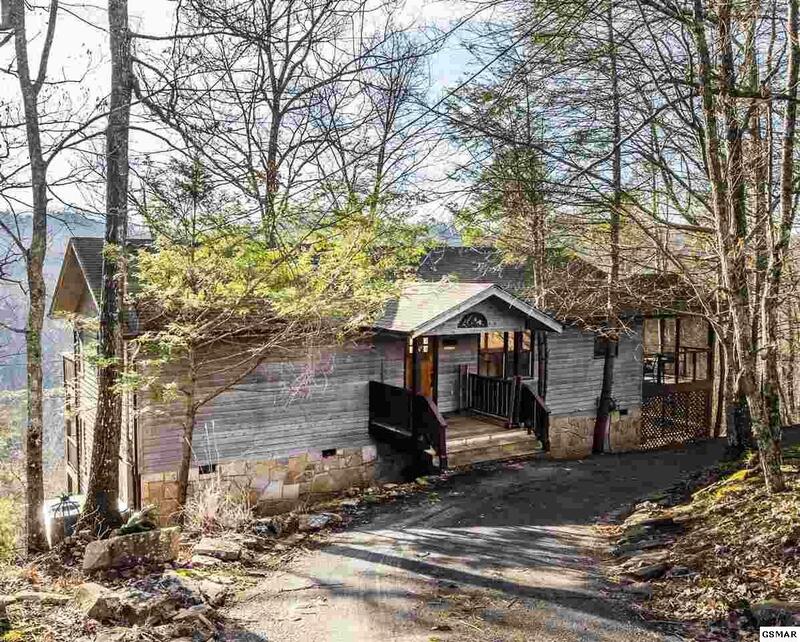 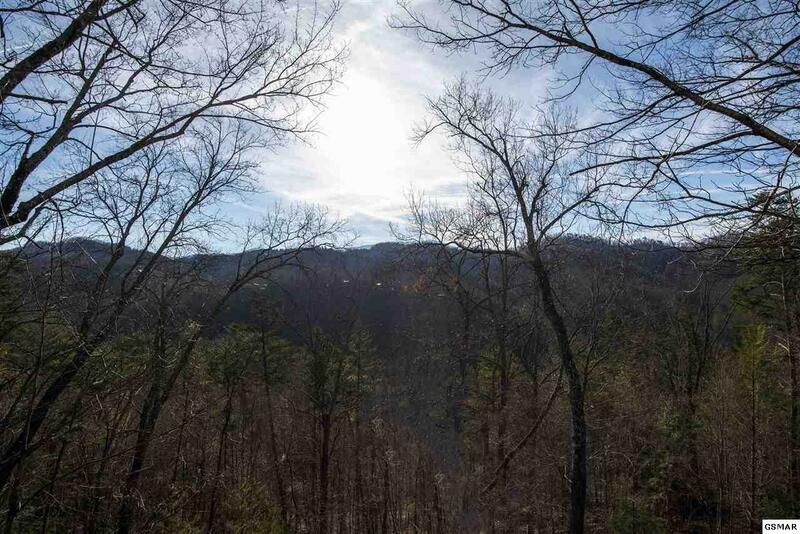 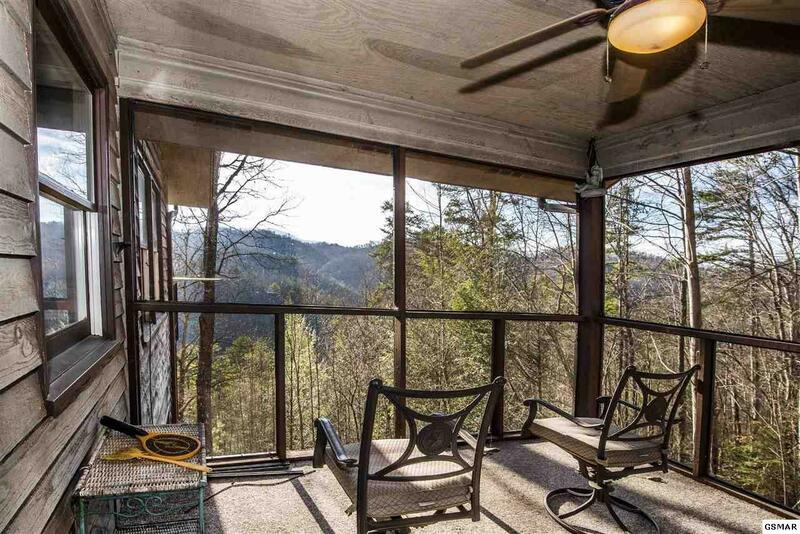 Located in a gated community, this home sits atop the mountain giving great views all year long. 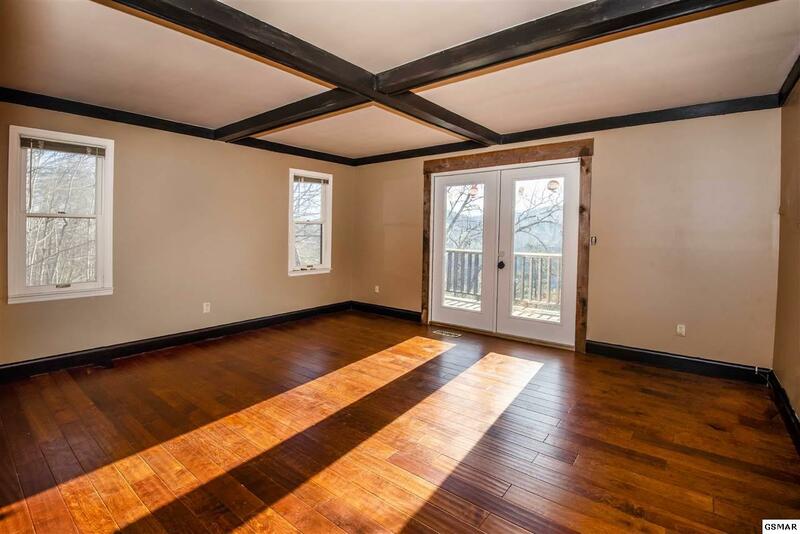 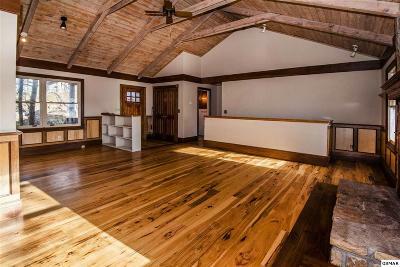 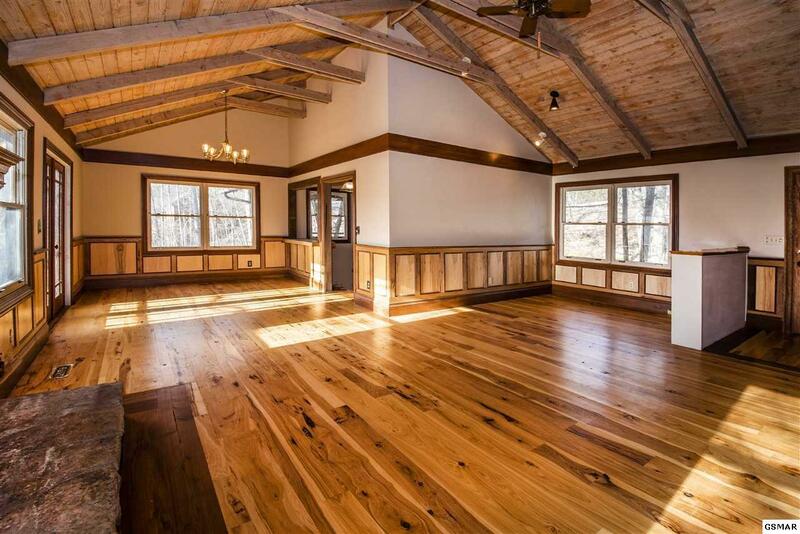 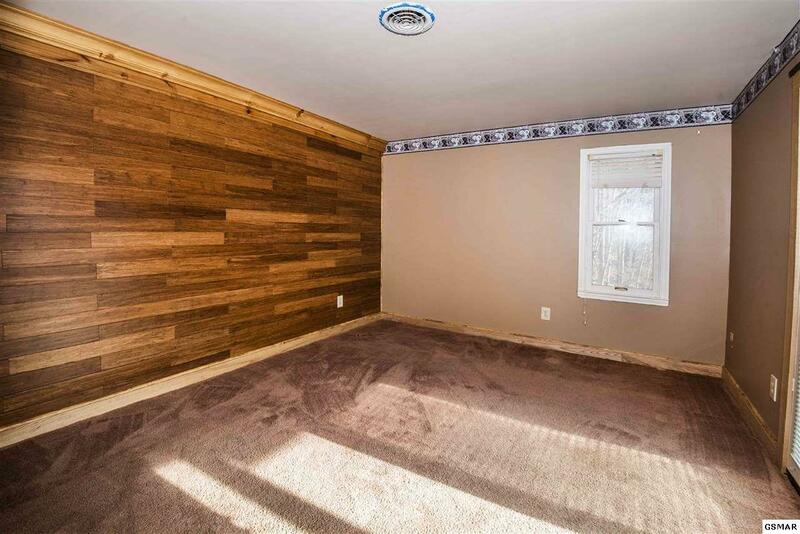 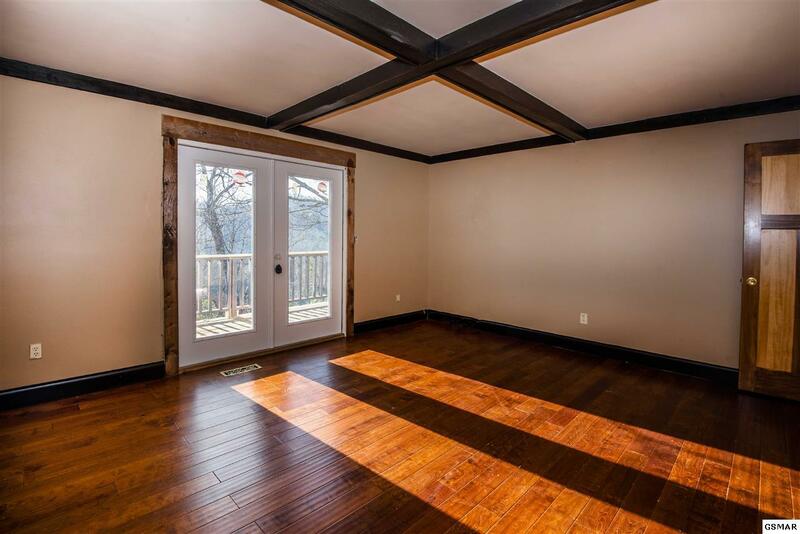 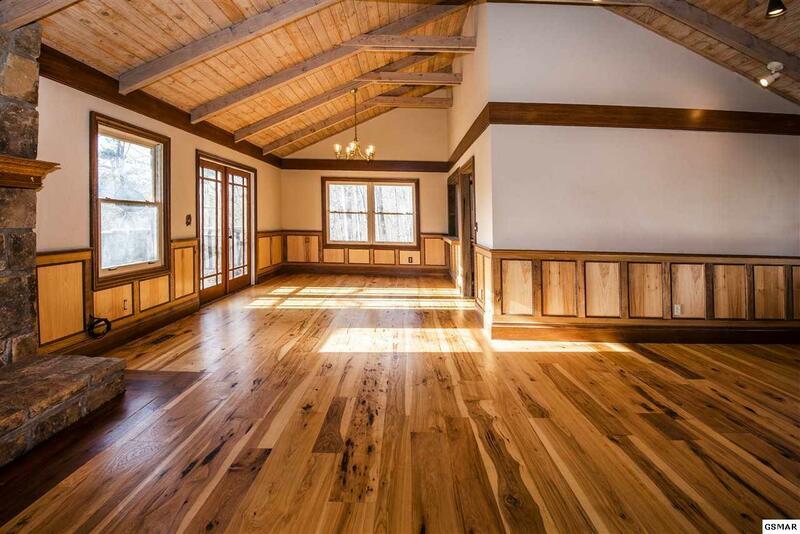 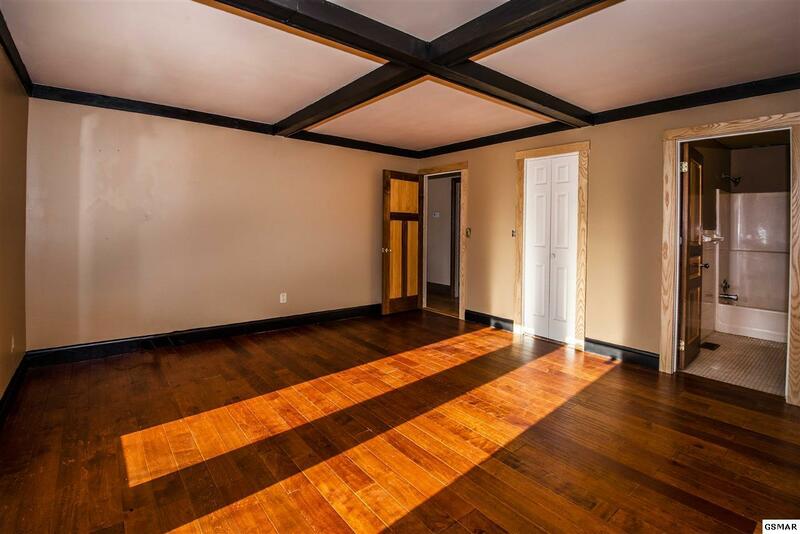 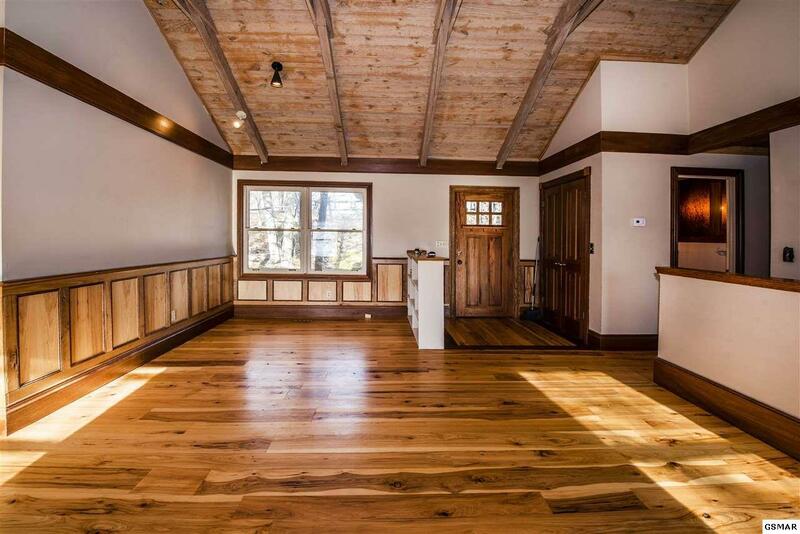 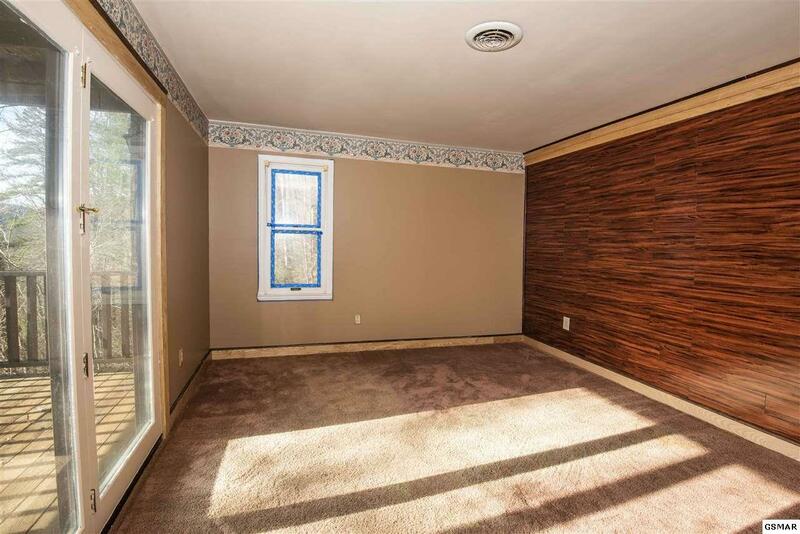 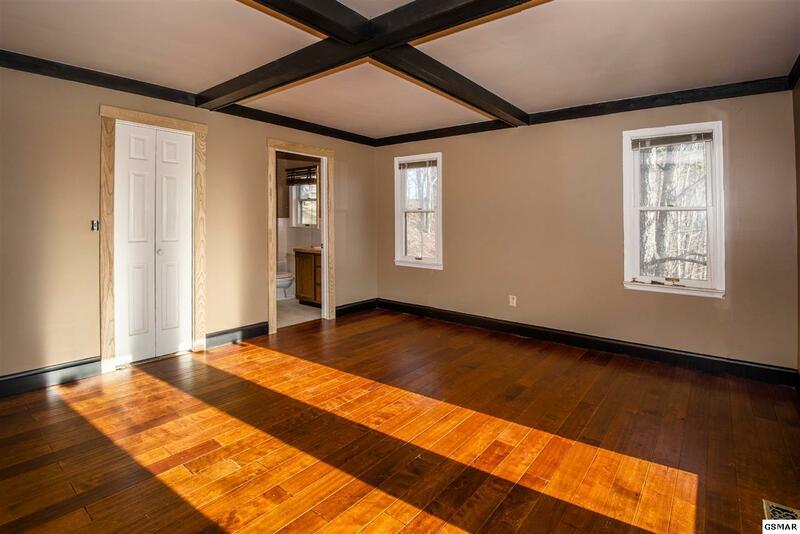 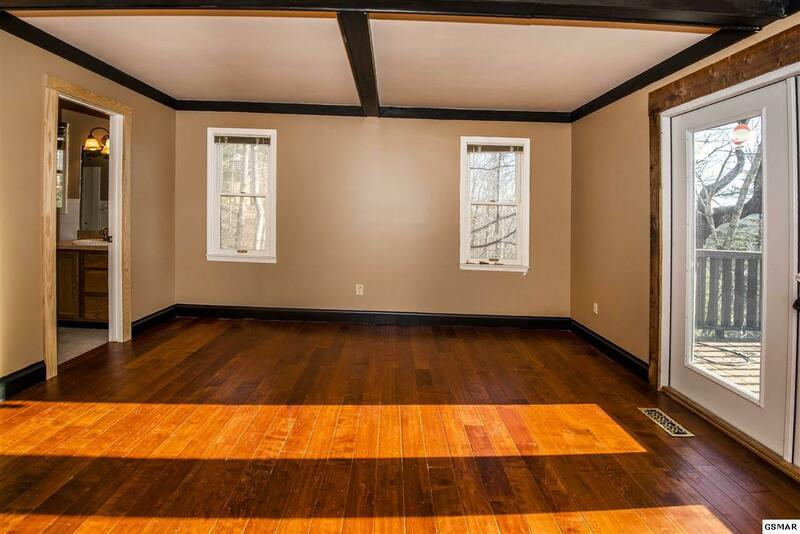 Be greeted by beautiful hardwood flooring and custom woodwork throughout. You are welcomed by a floor-to-ceiling stone hearth bringing warmth to the home. 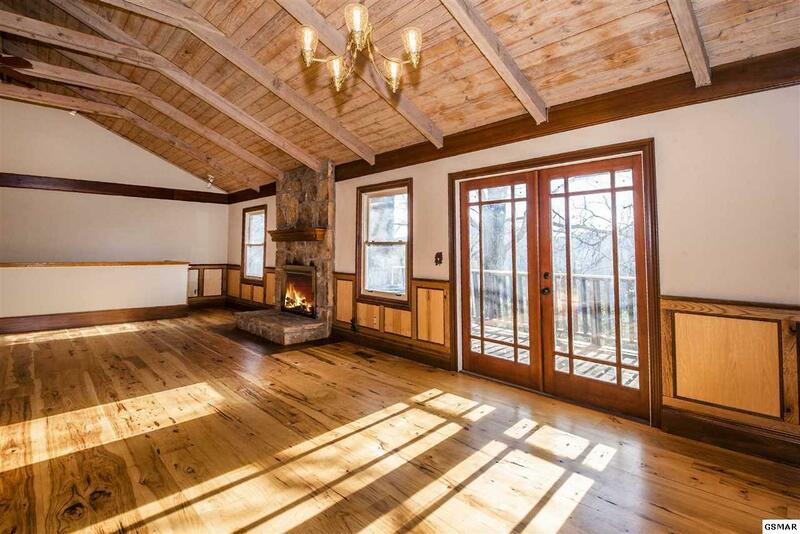 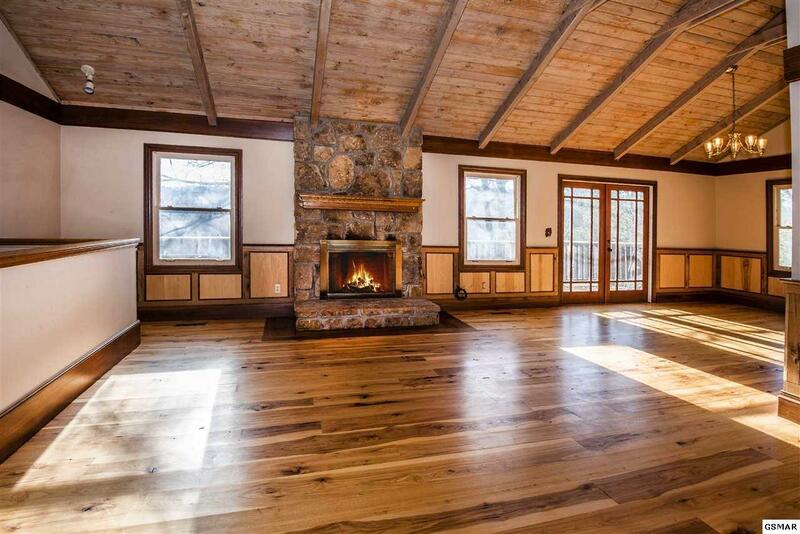 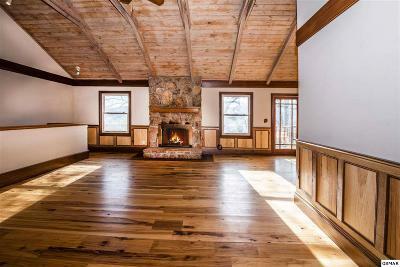 The large living room is perfect for entertaining or relaxing by the fire with a good book. When you are ready to create a culinary masterpiece, the kitchen offers plentiful counter space! 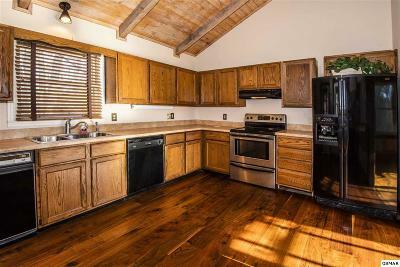 Topped with custom wood cabinetry and and a breakfast bar, this kitchen is perfect for family gatherings. 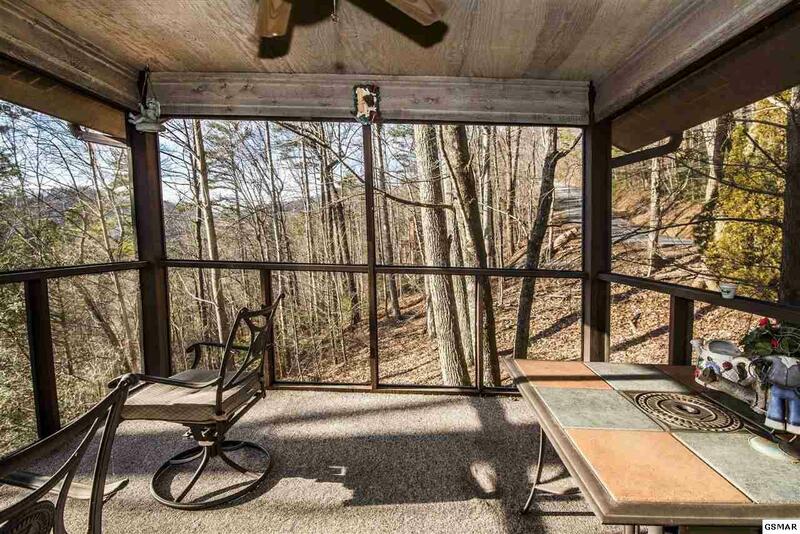 Off the kitchen is the screened in porch, perfect for rainy days. 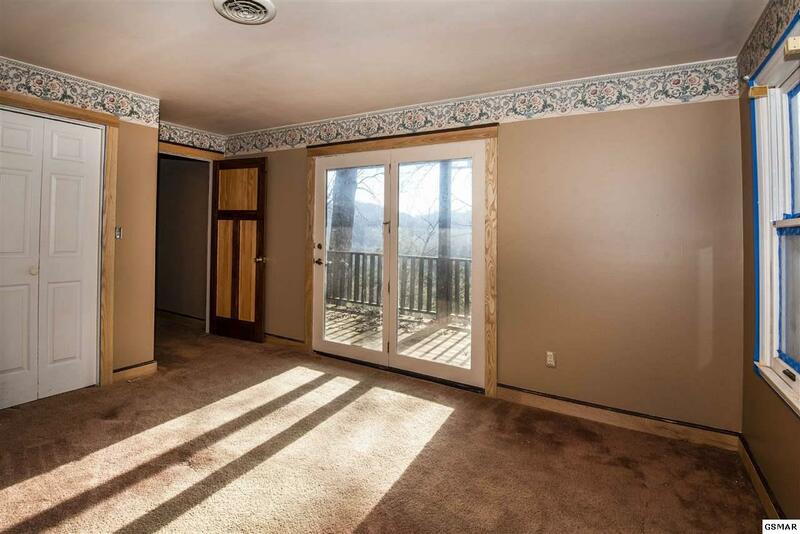 On those warm summer days, though, enjoy the huge wrap around deck perfect for that afternoon BBQ or a chance to catch some of that Vitamin D. Across the living room is the main floor half bathroom and master bedroom. 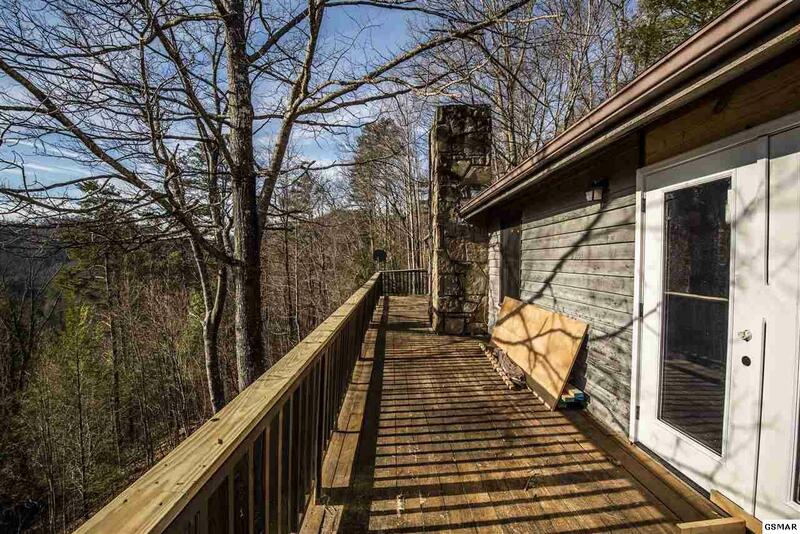 The master, with private access to the wrap around deck combines the beautiful nature scenery and hospitality. 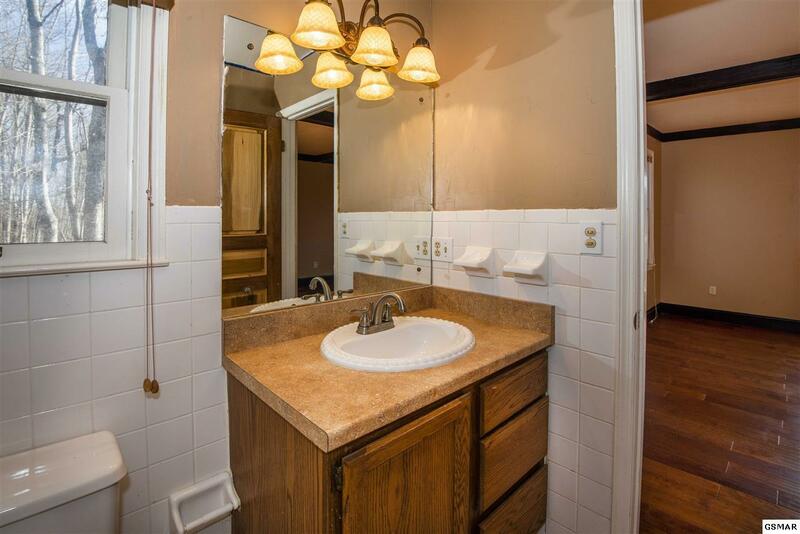 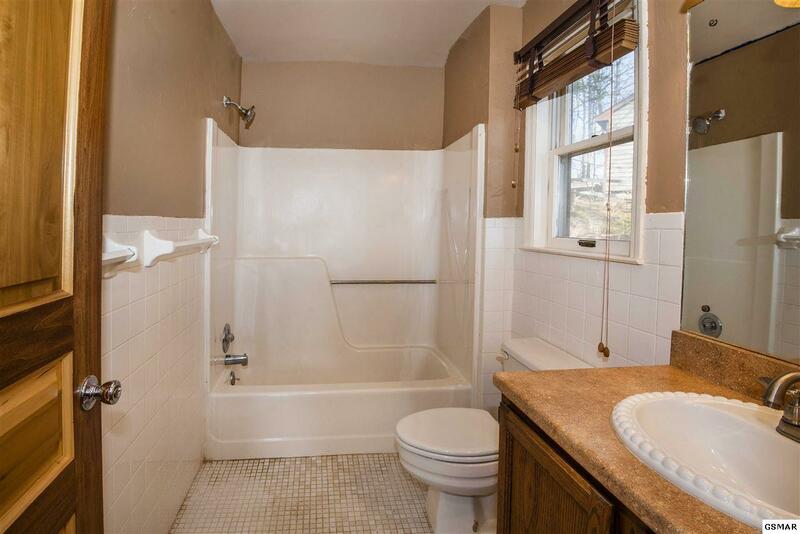 The master bath offers plenty of space with the shower/tub combo and is newly painted. 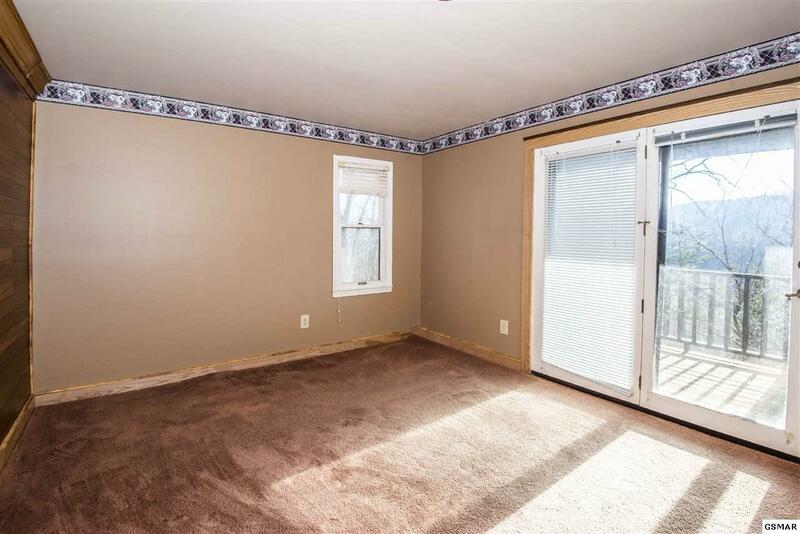 Take a step down the stairs to the finished basement that houses the 2 extra bedrooms. 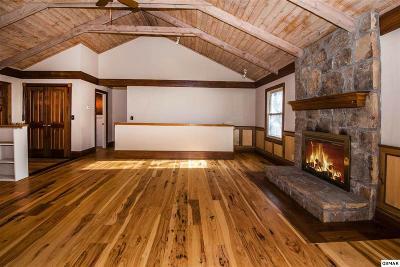 Both bedrooms feature a custom, handmade wood palate wall and share a full bathroom. 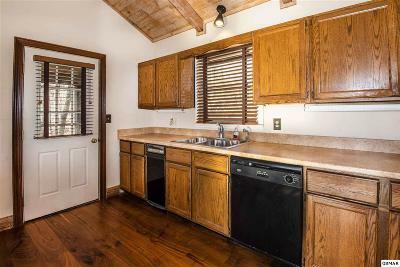 When it comes time to clean, the laundry room has tons of space whether for supplies or extra storage. 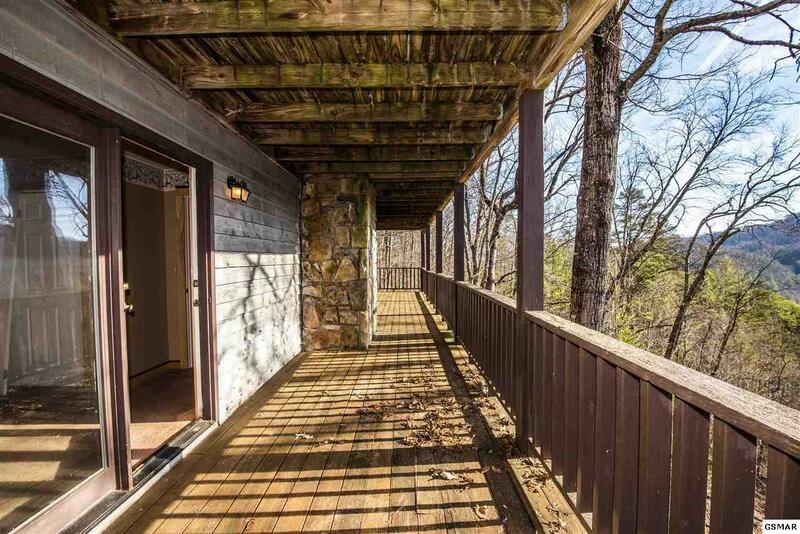 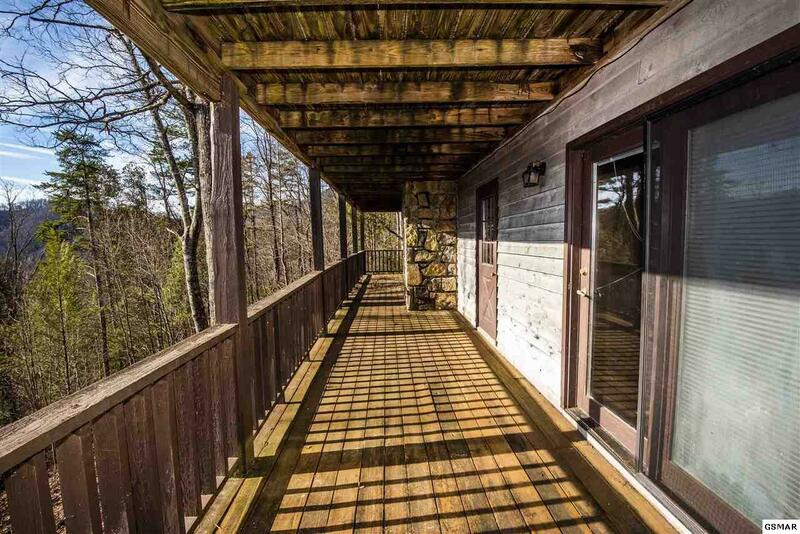 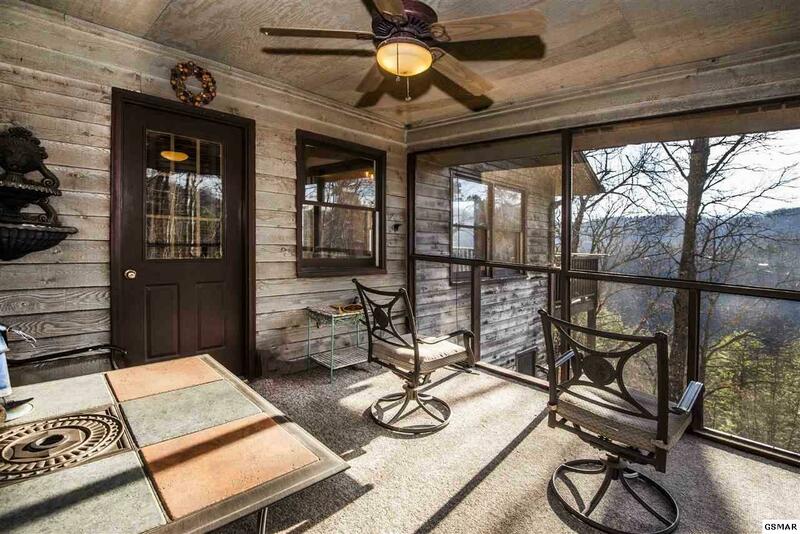 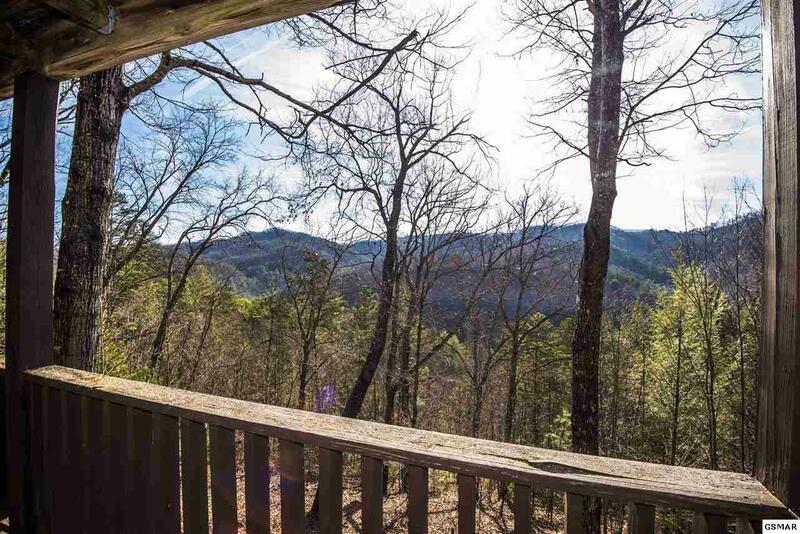 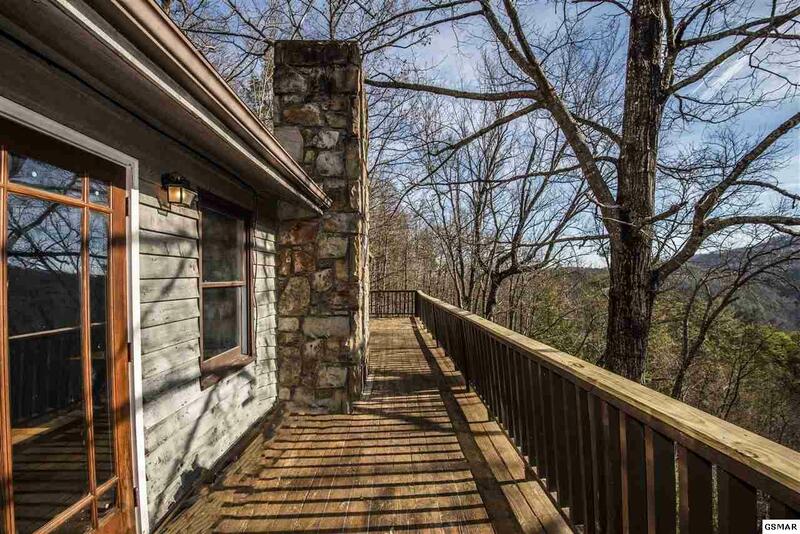 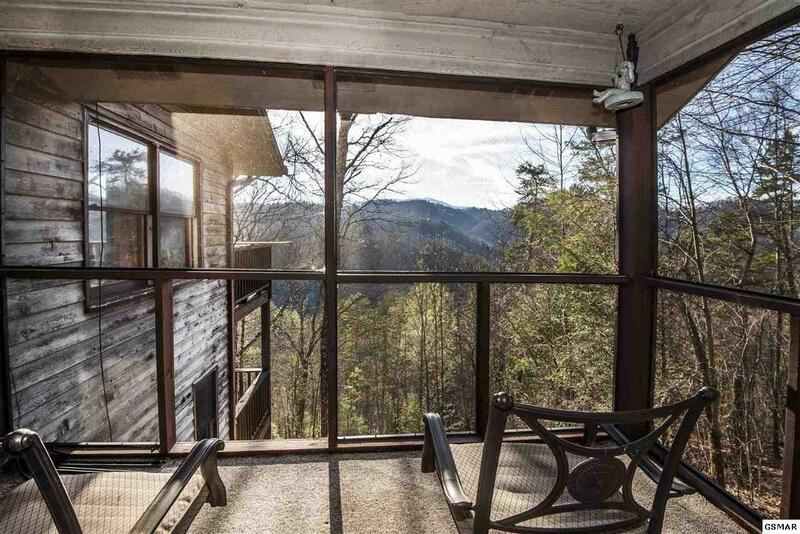 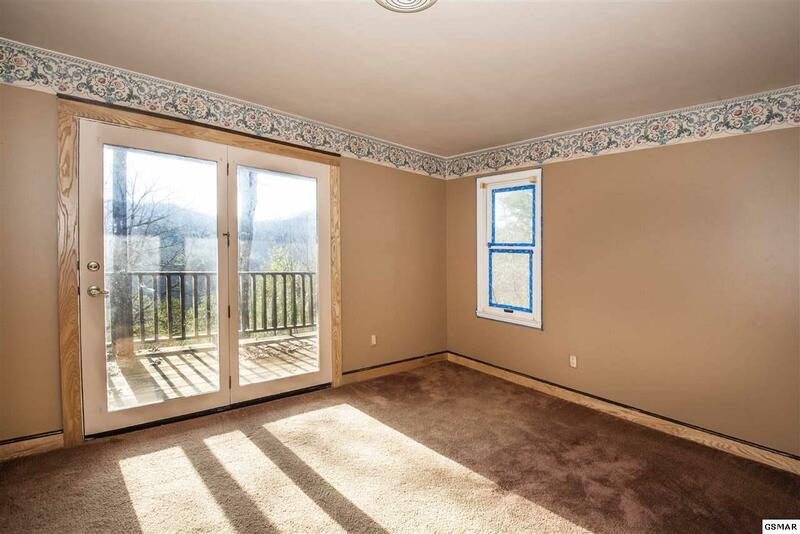 Each bedroom gains access to the lower wrap around deck that offers beautiful scenery and mountain views.